Tanger Outlet Centers offer 43 shopping outlet malls and more than 400 brand name factory outlet stores in 26 states coast to coast and in Canada.. In 1981, Stanley K. Tanger (1923-2010) pioneered the Outlet Industry by building the country’s first authentic outlet shopping center in Burlington, North Carolina. This was not only the beginning of Tanger Factory Outlet Centers, Inc., but also of a thriving retail venue – the Outlet Industry, which has grown to hundreds of outlet centers worldwide today. Steven B. Tanger (current Chief Executive Officer as of 2009) joined forces with his father Stanley in 1986 as the company’s fourth employee. Under their leadership, the company prospered and grew to 13 outlet centers by 1992. Then, in 1993 Tanger led the way again by becoming the first outlet center developer to be listed on the New York Stock Exchange as a publicly traded Real Estate Investment Trust (REIT). Shares are traded under ticker symbol SKT. Tanger’s Best Price Promise, an Outlet Industry first was originally instituted in 1995. The program offers Tanger shoppers an instant cash refund of the difference if they should find an item purchased at Tanger advertised for less. The Best Price Promise gives Tanger customers’ confidence that they are getting a great deal each and every time they shop. In October of 2010, Stanley K. Tanger, the company’s Founder died at the age of 87, surrounded by his family. Mr. Tanger’s name was synonymous with outlet centers and he was known as a dynamic businessman, philanthropist, mentor and friend. Tanger’s portfolio of outlet centers has continued to expand and today includes 44 outlet centers in 22 states coast-to-coast and in Canada. Savvy outlet shoppers look to Tanger Outlets for the biggest selection of first-quality, in-season merchandise, for the latest fashion trends from their favorite brand name and designer outlet stores and so much more. Because consumers love shopping and saving direct from the manufacturer, Tanger centers are major tourist attractions that welcome more than 188 million brand name bargain hunters annually. America knows the value of shopping TangerStyle.. Put on your headset, pick up your controllers, and get ready to experience fully immersive gameplay. You now have the freedom and autonomy to control your own virtual reality. We have more than 40 VR games with group and solo options, which means you can become a powerful wizard in a fantasy world, play a game of golf so realistic you’ll feel like you’re out on the course, or explore a dangerous island inhabited by dinosaurs. 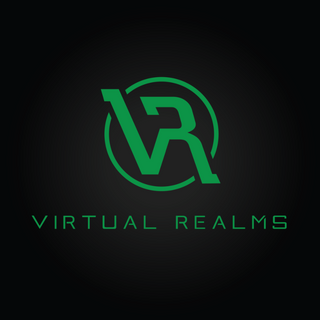 And since Virtual Realms was created by a group of local Long Island gamers, we know exactly the games and type of experience you’re looking for in a virtual reality arcade. Come in today for the coolest experience yet!. At Virtual Realms, we offer the best possible virtual reality experience with the use of top-tier equipment such as the new HTC VIVE PRO. Our HTC VIVE PRO’s are powered by custom-built gaming computers, equipped with 1080 Ti Graphics Cards and more to ensure you get the ultimate gaming experience. One of the country’s leading Real Estate Investment Trusts (REITs), Mack-Cali Realty Corporation is an owner, manager and developer of premier office and multifamily properties in select waterfront and transit-oriented markets throughout the Northeast. Mack-Cali is headquartered in Jersey City, New Jersey, and is the visionary behind the city’s flourishing waterfront, where the company is leading development, improvement and place-making initiatives for Harborside, a master-planned destination comprised of class A offices, luxury apartments, diverse retail and restaurants, and public spaces. 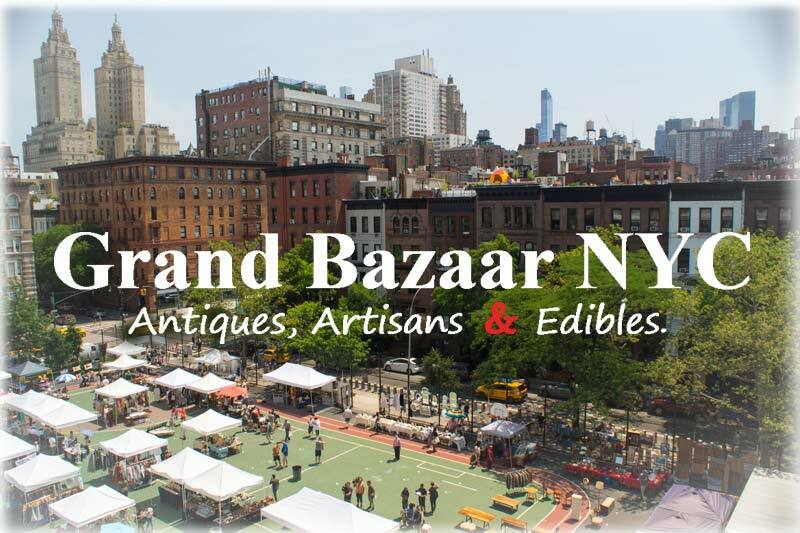 Grand Bazaar NYC, formerly known as GreenFlea Market, is one of the oldest markets in NYC. Located in the architecturally and culturally significant Upper West Side, this historic market space has hosted weekly events since 1982. Originally founded by a group of parents as a weekend ‘yard sale’ to supplement fundraising for their school, the GreenFlea Market became a wild success. Since then, the market has continued to expand, with its recent rebrand as “Grand Bazaar NYC” marking a new era and direction. Today, the market is the largest curated and most distinctive market in NYC, with over 43,000 square feet of indoor and outdoor space. Here, you can find the finest and most unique antique merchants, artists, artisans, food purveyors, and entrepreneurs offering their goods and services to New Yorkers and international visitors. The purpose of the market has been and continues to be the funding source for four public schools in the surrounding neighborhood. Profits from the market benefit over 4,000 school children by providing them with art enrichment programs, books, supplies, teaching assistants, sports and chess programs. 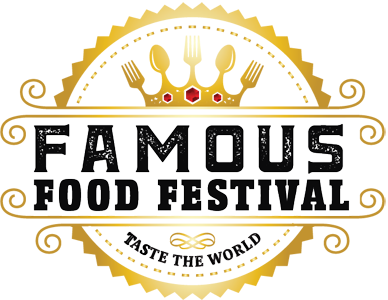 Famous Food Festival is looking to possibly partner up with you! 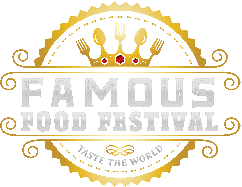 We’re offering a variety of partnerships and co-promotion opportunities at each event’s site, on our website, and in our marketing materials – all which deliver an eager food-centric demographic to the top of your lead list! Each partner relationship is unique and tailored to specifically maximize your budget, attract your exact demographic, increase awareness of your brand, and benefit from additional brand exposure in our own internally funded marketing efforts. We work tirelessly extending our brand into new metropolitan areas through the use of creative marketing strategies, and offer select per-qualified promotions partners the opportunity to “ride our coattails” into this special spend-happy foodie demographic, with extremely loyal buying habits… Appeal to the families, the groups of friends of all ages, and the tours that arrive at our festivals to taste famous foods from all around the world! While everyone’s having fun, let’s make sure to leave a quality lasting impression together. Let’s give our attendees the tastes and times of their lives together! Let’s create a long-lasting win-win-win situation for you, our attendees and our organization. We have a variety of packages to customize to meet your specific needs and budget, to ensure we create tremendous value for you, and our loyal attendees. We’ll silver-platter deliver an ROI you’ll be extremely satisfied with, as our goal is repeat business each with our valued qualified partners. A minimum $5,000 marketing investment per show is required to ensure all details are complete, as well as a per-qualification of credit, your organization’s ability to fulfill agreed upon promotions, legalese setup, event insurance, and all other minutia surrounding our polished partner introductions! to get started Contact us for further details.